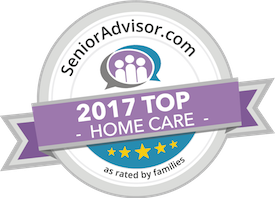 One of the best things that you can do for yourself as a family caregiver is to give yourself the room to accept more help from other people. It may not always be easy to see how to do that for yourself, though. Many family caregivers keep themselves fairly low on their own priority list. While that can be considered selfless, it’s actually harmful to your intentions as a family caregiver. You have to take care of yourself and keep yourself as one of your main priorities in order to be the caregiver that your elderly loved one needs for you to be. If you’re still trying to do as much as you can by yourself, or if you believe that you’re supposed to be taking care of the majority of your loved one’s needs on your own, it’s time to rethink that. You and your elderly loved one need help from other people. Whether that’s home care providers or other family members, it’s important that you start learning how to delegate some of your responsibilities. For many family caregivers, that idea of control seeps into their emotions, too. As a family caregiver, you’re not always going to feel great about the things that are going on. You’re likely to occasionally feel frustrated or angry with your elderly loved one or with a particular situation. Other emotions, like guilt, can even get in the way of making the best decisions that you can for your loved one. Even worse than the negative emotions can be the fact that some days are going to be better than others as a caregiver. When you can accept that you’re allowed to have an off day now and again, it can be easier to allow yourself to accept help, too. Fighting against that fact or telling yourself that you always have to be capable and in control can lead to even more frustration. Treating yourself better overall can help you to be a better caregiver in the long run. Have questions about caregiver services in Maui, HI? Contact the caring staff at All Care Hawaii today. Call Oahu (808) 206-8409 or Maui (808) 664-3853. Call us 24 hours a day, 7 days a week!